What is the best opiate addiction treatment? If we look at the latest statistics throughout the nation, there is an increasing number of Americans who need treatment for opiate addiction. More and more people seek opiate addiction treatment every year. Why is this becoming such a prevalent issue, what do you have to know about opiate addiction treatment centers, and how to help someone with opiate addiction? What’s Included in the Opiate Family? When talking about opiate abuse and opioid addiction treatment, most people immediately think about heroin. Some might also consider prescription drugs such as OxyContin. While these are obviously problematic contributors to the opiate epidemic, there are a number of other drugs that fall into this category too. A few of the most popular include: buprenorphine, codeine, methadone, morphine, and oxycodone. For each of the aforementioned drugs, the preliminary ingredient is opium. When abused, these prescription painkillers are able to unload endorphins into the body. Sometimes this is one hundred times the amount of endorphins that we would normally be able to produce. As you can imagine, this negatively affects the cells in the brain and our nerves. By flooding the system with endorphins, the user becomes accustomed to a pleasurable sensation that they will never be able to recreate on their own. One of the reasons that people might need opiate addiction help is because the body’s own production of endorphins ceases after prolonged exposure to large (unnatural) amounts. Opiate addiction treatment programs are about more than just getting someone to sober up; it is about getting people to feel ‘normal’ again without using the drug. The vicious cycle propagates itself unless someone explores their opiate addiction treatment options, because the user is left with no endorphins unless they decide to use again. One of the main reasons that people need help with opiate withdrawal is because of withdrawal symptoms. These are uncomfortable sensations that users have to go through if they decide to stop using the drug altogether. This can cause stress, suicidal thoughts, depression, restlessness and physical pain. For people who attempt opiate addiction recovery on their own, without the assistance of an opioid treatment program, it can be tempting to use one more time just to alleviate those painful sensations. This should make it obvious why treatment centers for opiate addiction are invaluable. They know what helps with opiate withdrawals. This can be either managing expectations, or advising clients on what helps opiate withdrawals move along faster. The body is constantly monitoring its own chemical levels. If there is an imbalance in the body, it is going to produce counteracting chemicals to restore the balance. If someone is struggling with opiate addiction, they are constantly flooding their system with more chemicals. This means that the body is eventually going to produce less endorphins because it is constantly satiated. Because the natural production decreases, users only feel happy when using the drug. According to a study published in the New Zealand Institute of Chemistry, patients who struggled with opiate addiction would be able to survive upwards of ten times the amount of the drug in their system. This just shows that someone struggling with addiction is constantly changing his or her body. The tolerance makes them immune to some of the lower dosages. For most people, the only way to get ‘back to normal’ is through rehab for opiate addiction. If you know someone who is seeking help for opiate withdrawals or who wants to enter into a program for the recovery from opiate addiction, remember that this can be a lengthy program. In the better programs, help for opiate addiction is about more than just offering help with opiate withdrawals, it is about enacting lasting change. These are some suggestions that people can take into any of the different opiate treatment options. Make sure to stay healthy – Remember that recovery is an encompassing issue. This is not just about offering rehab for opiates; it is also about the body and mind being in a healthier place. If the person is healthy, there is a good chance that the treatment for opioid dependence is going to be more successful. Go in with the right attitude – If you want to know how to help an opiate addict, try to give them a positive feeling before enrolling into one of the qualified opioid treatment programs. It makes a big difference if someone seeks help with opiate addiction with the right attitude. If someone shows a willingness to change and has a positive attitude about their opiate rehab journey, chances are that they will be more successful. 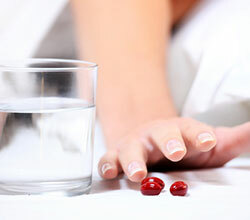 Seek professional treatment for opioid addiction – Some people try opiate recovery on their own. 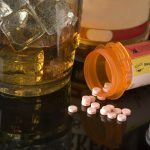 Even though it is possible to recover without professional opiate help, most patients in recovery owe their sobriety in part due to opiate treatment centers. If someone needs opiate dependence help and does not have someone supervise them to avoid a relapse, chances are that a relapse after a period of sobriety is extremely dangerous or even fatal. The opioid dependence treatment options offer a great safety net if the withdrawal symptoms become too difficult to deal with or if someone feels tempted to use. Remember to consider your different options – Recovering from opiate addiction is undoubtedly one of the most challenging things that people have to do, with or without one of the qualified opiate treatment programs. Considering the fact that a relapse could be extremely dangerous, it is a good idea to go with those programs that know how to get help for opiate addiction. Do not settle for drug replacement therapy or the 12-step program that both have little to no evidence of success. Instead, seek out inpatient opioid addiction help with those programs that have the latest scientific data and the research that backs up their methods. Only part of the equation – Some people think that opiate detox recovery is the entire process itself. Other people believe that enrolling into opiate detox centers and a brief period of sobriety would count as recovery from opiates. The truth is that detox is just one step in the better programs. 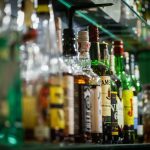 They know how to help opiate withdrawal, but also realize that sobriety is only part of the equation. There also needs to be a good aftercare program in place that can help with some of the psychological aspects of addiction. If you have any additional questions about opioid addiction recovery or would like to know where your nearest opiate detox center is, remember that you can pick up the phone and reach out for opioid dependence help. Do not allow another day of addictive behavior to pass, but make a change right now.